The Royal Wedding between Prince William and Kate Middleton is almost around the corner and many of us are excited to be celebrating this world event. Some people will probably have a quiet night in, watching the wedding on TV with a couple of friend and family, while others will head out to their local pub to celebrate. 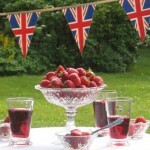 Some people really love the Royal Family and they will go the length to decorate their house with bunting, stock up on party snacks, and invite half the town to celebrate together. However, throwing such a big party requires a lot of organising. You need to buy enough food and drinks to keep all your guests happy. You need to make the house presentable, and you need to prepare the buffet. While the party is underway you’re constantly mingling, trying to play the perfect host to all your guests, making sure their glass is always full, and that they’re having a good time. By the time the party is over you’re completely exhausted. However, there is all the after party cleaning you need to worry about, which is no small task! You could save yourself a lot of hassle by calling a cleaning company that provides after party cleaning London. They can send a team of highly skilled and experienced after party cleaners that will throw out all the rubbish, wash all the dirty dishes, wipe down any spillages and make your home completely spotless. Some cleaning companies will also provide you with party help so that you can actually relax and enjoy your own party. With the help of an after party cleaning company in London you can enjoy the Royal Wedding celebrations without worrying about the mess afterwards. The after party cleaning services will take care of it for you.